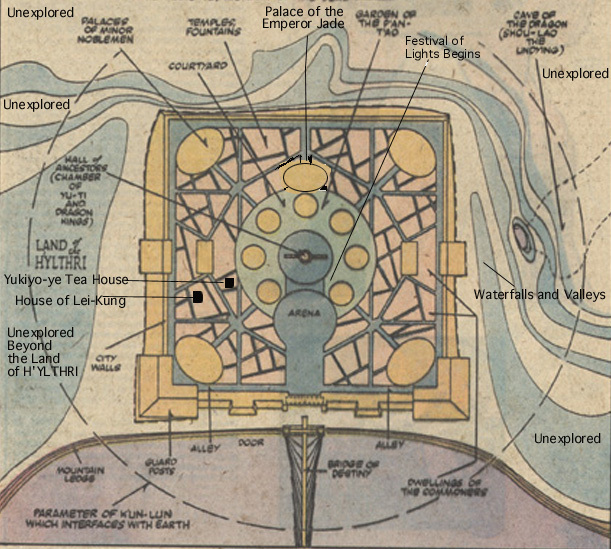 K'un L'un is Iron Fist's home land it is located in a pocket dimension. the K'un Lun Mt. Range. and admittedly it is a very beautiful if also a dangerous place. technology does not work in this enviroment. is one of the reasons the Dojo was established and he is now in our world. throw the governement of Kun Lun and to start a war. This war was stopped. Xao Jinn. 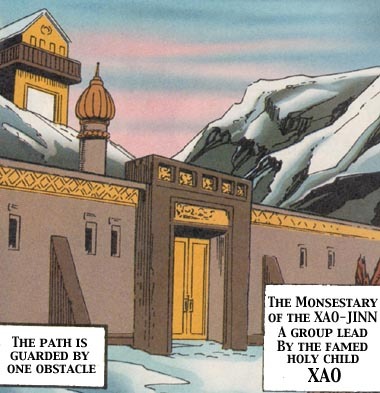 The Boy's name was Xao. This conspiracy was created by three Nobles. Sumen, Dai-Lin and Kino Kim. the Black Rose was broken up when the Warriors Discovered who was behind it. the gate. Currently Dai-Lin and Sumen are impriosoned in K'un Lun.